After using numerous float rods for trotting, I was always left feeling they were not really right for the job. I was using them for grayling, roach, dace and chub fishing. Some of the float rods I had used previously felt too heavy or too stiff and unforgiving. They seemed OK for chub but I was suffering an awful lot of hook pulls whilst fishing in particular for grayling. To be fair, grayling do have a habit of coming off, due to their gyrating movement during the fight. However I felt I was losing far too many. I wanted a 14ft rod. This would give me a little extra control over the float. It had to be designed with silver fish in mind. So it was I came across the Drennan Matchpro Ultralight. After reading a few reviews and the company spiel, I felt it was the right tool for the job. After receiving the item it was time to give a good workout throughout the winter months. Several trips to the River Itchen would test out the rods capabilities on the grayling population. The rod performed beautifully. It was very light and comfortable to hold all day, despite being 14ft. It had a lovely tippy feel to it, which enabled excellent line pick up at distance and set the hook even on a very long trot. The rod had a very nice through action and this was ideal for grayling. It cushioned the fight from these tricky fish extremely well. It didn’t quite eliminate hook pulls, but greatly reduced them. I was delighted. It was then put through its paces trotting for roach, dace chub and a few bonus barbel. Again performance was better than I had hoped for. Very few hookpulls using 20 hooks. The light lines coupled with the supreme balance of the rod enabled me to land numerous good barbel to 10lb 5oz. I never got snapped up once. That to me is the sign of a quality rod. I was using lines down to 2lb 6oz, but since then I have gone down to 1.8lb and still the rod performed well. But then of course, that’s what it is designed for. I then used the rod for crucian carp in the spring. This time taking numerous crucian’s to 3lb 11oz and tench to 6lbs. The rod is a pleasure to use and I find it a very rewarding experience hooking and playing fish on this rod. It exceeded my expectations and is a credit to Drennan. tackle and rods worth the extra money. Hi John, thanks for looking in. You’re dead right there. Great tackle, without being extortionate. have you used this rod with a pin? Hi Steve, yes all the time. A superb rod and I would highly recommend it. An excellent review. I am also a fan of Drennan. I think I have just found my next rod with thanks to you. Now to start saving! Hi David, thanks for looking in. It is a lovely rod to use. Mine got nicked on Sunday night along with numerous other items of tackle. Worst of all was the rucksack, because it was crammed full of all those little bits and bobs that we all use, oh and my Canon camera. Swines. Anyway, if you do decide to get the rod, you won’t be disappointed. has any body got a john allerton match rod and are they any good? Thanks for a great review, I have just today received my new drennan matchpro ultralight rod. What more can I say it’s a delight, I have just tried it with my centrepin and got very excited and can’t wait to give it a go on my local back water. So it’s a big thank you for steering me in the right direction. Hi John. I know you’ll enjoy using it. It’s a great rod. Glad my review was helpful to you. Cheers, Nathan. Looks like a pretty good rod from what I have read online… maybe it will make its way onto my Christmas list this year. I’ve been considering snapping up an old rod on ebay, but the lack of a locking reel seat have put me off buying quite a few, the last thing you need is a reel dropping in the water when you are wading out past your knees! Here’s hoping your still receiving mails regarding your great site and reviews. As with most of the above already positive replies, I will now add and give thanks for a lay-man’s style review.. 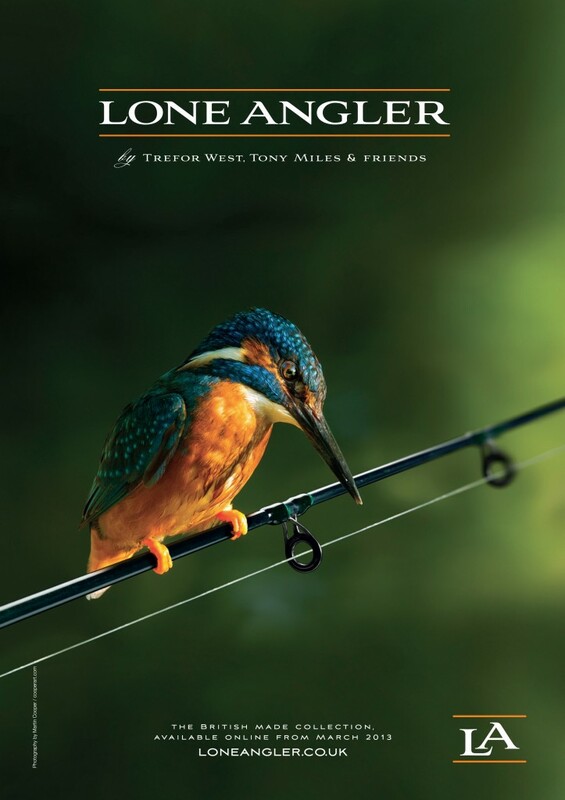 Sometimes the professional spiel and garb even in the popular press, not mentioning any names of course !..is by far to dam technical for most anglers. When what is required is an honest yet concise opinion, which is tried and tested. Thanks for your assecement and due to it I have now purchased the said item of personal indulgence ! Mind you the wife hasn’t been informed yet and what do I say ?……… Hey sweetie would you like to see what was to be your new microwave ? Haha great Colin. Surely the missus would understand!! Anyway thank you for contributing and for the kind words. I hope you enjoy the Matchpro as much as I have over the last few years. Drop me a line and let me know how you get on with it. Good luck and tight lines mate. Hello Nathan, thank you for the review. I’m thinking of replacing my Shimano 420H (20 or so years old) and never been the same since I snapped 3″ off the tip. I was wondering whether the Ultrlight would be a suitable replacement for it? Thank you in advance, Robert. Hi Robert, thanks for looking in. I do not know the Shimano that you mention unfortunately. If you want an out and out silver fish rod, then the Drennan is ideal. It’s a lovely trotting rod and as it’s name suggests, is light enough to hold all day. Although designed primarily for silvers it can and has coped with much bigger fish. I’ve taken double figure barbel, big chub and some big tench on it and it coped admirably. However it comes into its own when targeting roach, dace and grayling. Well worth a look Robert. Hi Roy, thanks for looking in. I’m delighted you found the review useful and even more so now you have purchased the rod and put it to use so successfully. 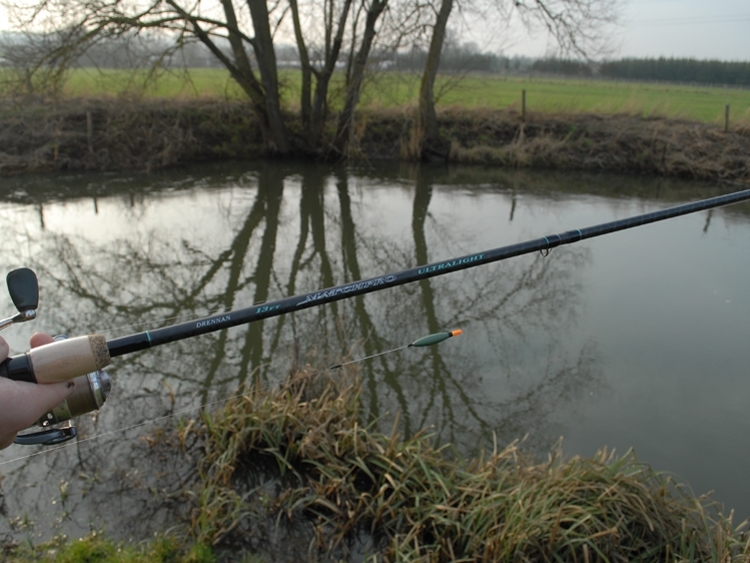 The Drennan is such a well made and balanced rod and it copes really well with bigger fish. I hope you continue to enjoy it for many years to come. Thank you for the positive feedback and kind comments. Please feel free to keep me posted on future catches. Hi Nathan. This is a really nice series of articles you have here. I’ve only just found it so a bit late to the party, I’m afraid. I was interested in this review because I’ve been looking for a trotting rod for chub for this winter. I had considered both the Acolyte Ultra, the Acolyte Plus and the Matchrpro. I had a feeling that the Ultralight might be too light for chub. It seems this is not the case which is good information. I am not sure which one I will go for. If the Ultralight will do the job for chub then I’m guessing the Acolyte Ultra will similarly excel. Thanks for writing and giving us the benefit of your experience. Hi Bill, thanks for looking in and I appreciate the comments, thank you. I’ve looked at the Acolytes and they are very impressive rods. Not sure I like the finish but that’s just a personal thing. Certainly the Matchpro will handle decent chub and it’s still perfect for roach and dace. I guess the additional lightness of the Acolytes make them even more appealing than the Matchpros. If money isn’t an issue then I would certainly be looking at a 14ft or 15ft Acolyte. Please let me know what you get and how you get on with it. Hi Oran, thanks for looking in. Not really. I would say it’s more suited to silver fish but can handle the occasional bigger fish. Take a look at some of the slightly stepped up rods that Drennan do. They do a couple of carp waggler style rods that might be worth a look. Well done Bill. Your lucky on two counts there; a great wife and a Matchpro! 🙂 I just had a day trotting for grayling on mine. Ended up with 8 to 1lb 14oz. I just love using it. I do hope you get a few lumps on it, as it handles chub really well. Best of luck and keep me posted. I bought the 13ft Ultralight and it is the best float rod I have ever owned. I use it for waggler fishing for silvers and tench and it is fast on the strike and responsive with smaller fish while retaining the guts to subdue tench. I had a “bonus” common carp of 12lb on it in the summer and got it in without too much trouble. Overall, a well designed and well built rod that occupies a niche of its own in today’s crowded, commercial and carp-oriented tackle market. They are great rods Paul and I think very good value for money. In fact I’ve just purchased the 15ft version for my grayling and roach fishing. Can’t wait to put it through it’s paces. This is a great rod until the top section breaks after 5 outings then Drennan don’t want to know they are the most unhelpful and difficult of people to deal with. Just hope you don’t have a problem. If so buy from another maker. on January 13, 2015 at 10:05 pm | Reply Myke H.
Very sorry and saddened to read of your problem Derrick i have to say it came as a surprise. As up to now on the two occasions when i have a problem with drennan tackle, it has been sorted out to my satisfaction. I use the matchpro 14ft float and have had it for some years now a firm favourite. Very good website, after reading these comments think I will get a Drennan 14 footer, already got an Avon rod of theirs and its good, but need something like you describe. Hi Iain, sorry to hear that but you should be able to buy a replacement top from Drennan for around £50. Hi Nathan. I’m converting to float fishing from fly fishing – mainly due to relocation; I’m now within about 8 miles each of the Wye, Severn and Avon. The Drennan Ultralight sounds like the sort of rod I’m looking for – I want to float fish only, and only on moving water – do you think it’s a good all-rounder for silverfish (that term is new to a lifelong fly fisher, but I assume it’s roach, chubb, perch, bream… everything except tench, barbel and carp?). I might also do some winter trotting for grayling on the Wye & Usk Wild Streams ticket, if I keep my fly fishing gear. Is a 14ft rod better than a 13 footer for my purposes? Hi Kevin, thanks for looking in. It’s ideal for silverfish, in fact that’s exactly what it is designed for. 14ft is perfect for most situations, 15ft if you need that little bit extra. It will handle bigger fish like decent chub and even barbel but that’s not what its ideally suited for. Roach, dace and grayling are the perfect quarry for this beautiful rod. Of course Drennan have now brought out the Acolyte……! I just wished I lived within 8 miles of those fantastic rivers. Good luck and let me know what you choose and how you get on. I know this is an old thread but I am looking at this rod in an 11ft due to my rivers and overhead trees when wading. This will be for Grayling, is it ok in the q1ft for this job? Hi and thanks for looking in. I haven’t used the 11ft but can’t see why it wouldn’t be an excellent rod for grayling, in that size. I think the blank quality is the key rather than its length. If the bank side vegetation dictates the use of a smaller rod then the Matchpro Ultralight would be perfect I’m sure. If you do go for one, please let me know how you get on.